Dart flights not only allow you to personalize your darts, they also give you better flight characteristics. Here are some darts flights size Standard , Slim , Kite , Pear and Retro . Use our filters to view dart flights with specific themes, colors, materials or brands . Which dart flights are right for me? The range of dart flights is large; And even beginners sometimes feel a little overwhelmed by the variety of colors, shapes and motifs. Here you can get a rough idea of ​​the most important criteria when choosing your Dart Flights and make buying Dart Flights a little easier. Which dart flight shape suits me? Dart Flight Material - Plastic or Nylon (fabric) Flights? Strong Thing - How many Micron should Dart Flights have? Which dart-flight shape is best? Dart Flights differentiates into different forms. The dart spirits defined as to which form is more suitable. So every darter has to find out for himself which form is the right one for the perfect throw. The most commonly used flight form is called Standard Fullsize. The flights have large wings and thus a large wing which gives the dart the necessary buoyancy. 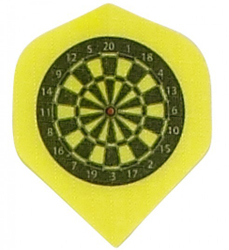 Darts with normal standard flights are particularly suitable for a more ballistic throw. Especially for beginners, the standard form of the Dart Flights is best suited , as inaccuracies in the launch are forgiven better than on the narrower flights. The slim slim flights make the dart fast and give less lift during the flight phase. As a result, more power is required when launching, so that the darts still have sufficient clearance when they hit the dartboard. These Dart Flights are characterized by their oval shape. For professionals, this Dart Flight Form has become increasingly rare in recent years. The flying behavior of the darts is a mixture of slim and standard flights, as the sizes of the wings meet pretty much in the middle. Pear Dart Flights are especially popular with female darters, which could well be due to the flower-like form of dr flights. 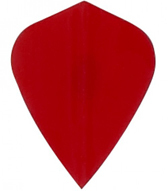 The kite-like Dart Flights are characterized by the wide wing area at the upper end. The aerodynamic design of the kite flights gives the darts a particularly sleek appearance and the medium-sized wings give them the necessary buoyancy. A related type of Kite Dart Flights are Fantail Flights. These flights have a curved wing and thus not quite the typical kite shape, like the kite flights. Here you will find both flight forms in the category Kite Dart Flights. The classic. That's how it all started. 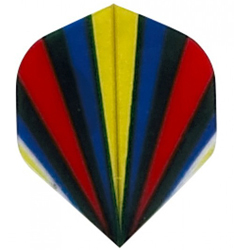 The first real darts with plastic flights had this flight shape. The origin lies in classic feathers which were mounted at the end of the darts in the early days of darts. The design of the springs was taken over by the Retro Dart Flights and so they have kept their classic shape until today. Dart Flights are ideal for personalizing the look of darts to your liking. The motifs allow you to choose between many different topics. But the best dart flights are still monochrome flights, say many darters. These flights are made of different materials such as nylon / fabric) or poly plastic. Especially the firmness of the flights is very important, so that they also keep the dart when you miss a throw and the dart lands on the ground. Excellent writing and sprinting on the Dart Flights are also in great demand. 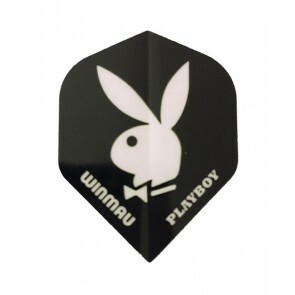 The best dart flights with jumps in our opinion have dart flights from Ruthless or Harrows. 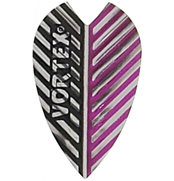 Due to the large selection of our Dart Flights, you can always redesign your darts and switch between different Dart Flight motifs and colors. Most Dart flights are made of plastic (poly). A distinction is made between smooth and structured dart flights. 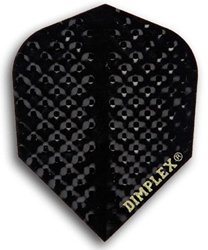 Smooth Dart Flights - Flights have a smooth surface and are not or only very lightly coated. The coating is usually used only for the visual enhancement of the Dart flights. Textured Dart Flights - These dart flights have a rough, studded dart surface & auml; che. Due to the higher air resistance, the darts are slowed down slightly during the flight phase. 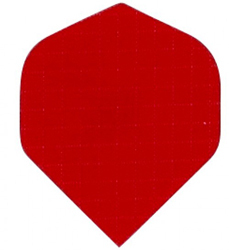 In addition to plastic plastic dart flights, we also offer nylon fabric dart flights . These ecological darts flights are durable and thick enough to hold good grip in regular aluminum or plastic darts. 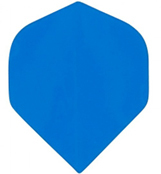 Nylon Fabric Dart Flights are available in many different colors. The selection of the flight motifs is relatively small with the Stoff flights. Dart flights tend to be more of a consumable item in darts. However, there are huge differences in the quality and strength of the material. When buying Dart Flights, pay particular attention to the indicated Micron number. The Micron number is mainly used on plastic flights. What does Micron mean for Dart Flights? Micron stands for micrometers and indicates the thickness of the dart flights. Simple poly dart flights have 50 micron and are therefore 0.05 millimeters thick. The higher the Micron number, the more stable the Dart Flights, which in turn will result in increased durability and resistance. We recommend Dart flights from 75 micron. If you change your Dart Flights (often), Dart Flights with 50 Micron may be enough. Please make sure that dart flights with a very high micron number bring some weight and make the dart a bit heavier at the back.